Gansbach denim blue is one of Spieth & Wensky's new cardigans. This colour combination is not only modern but it also fits any leather trousers. 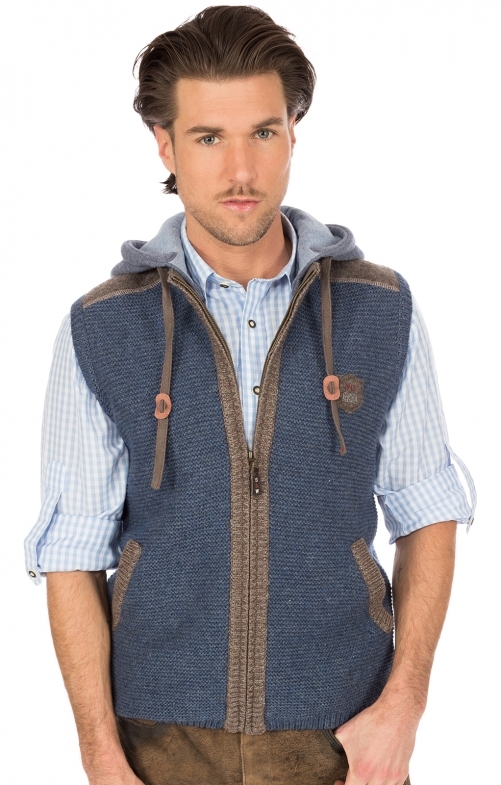 The soft hood with the deer antler can be unbuttoned and a knit raised collar comes to the fore. This vest gives a lot of space for the arms where a jacket reaches its limit.